A combination pill formulated as an effective oral contraceptive - Birth Control pill, Loette is a unique oral solution with low dosage of estrogen and progestin. Acting as an useful solution for birth control measures, Loette offers capable contraception and is safe for consumption and usage. There is no health hazard related side-effects and the solution may cause few minor yet tolerable effects. Loette is recommended as highly safe and efficient contraception solution. Formula of Loette levels up safety and provides timely contraception procedures to users. The medicine contains artificial estrogen i.e. Ethinyl Estradiol (20mcg) and progestin named Levenorgestrel (100mcg). The doses are set to a lower rate and are highly safe for oral consumption and it is advised to be consumed as prescribed. The active safe ingredient in Loette are Estrogen and Progestin which are artificial hormonesEthinyl Estradiol is the estrogen content formulated at 20mcg dosage and Levonorgestrel is the progestin with a quantity of 100 mcg. The doses are lower and safer than many of the contraceptives. Prevention of eggs from the ovaries thus stopping from being released. Causes thickening of the cervix mucous and preventing the sperm from entering into the uterus and meeting the eggs. Loette consumption causes safe and effective pregnancy prevention. 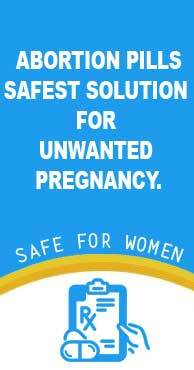 It restricts the occurrence of any type of accidental / unwanted pregnancy. The medicine is to be consumed orally for a period of 28 days. The kit has 21 active pills and 7 placebos that will ensure withdrawal through the process of bleeding and causes safe pregnancy prevention. Loette can be used on timely basis or month after month. The benefit of usage of Loette is that it also assists in keeping dysfunctional menstrual bleeding at bay, genital disorder involving tracts of benign in nature i.e. PID (Pelvic Inflammatory Disorder) and few more. A kit of Loette contains 21 tablets and 7 placebos. Consume 1 (one) tablet at a particular time, every day until the course is finished. Put a period of 1 week and then start a new kit. Loette should be consumed on the first day of the period. Maintain the color of the tablet accurately. In case the medicine is consumed on 2nd day or so, consider having an additional contraceptive such as a condom. Users can buy Loette online wherein details of the pills are provided for safe consumption. In case of any query, get in touch with the sites live chat to check on the status. Users, during the procedure, might experience certain cases of bearable and non-risky side effects such as headache, fatigue, nausea, minor allergy, fluctuating weight, etc. These side-effects are tolerable and doesnt cause future health limits. Buying Loette online is even more simpler with safeabortionpillrx.com. Loette, a safe and approved contraceptive pills are supplied by safeabortionpillrx.com and users can buy Loette online to have it shipped at your doorstep. Loette would be a great choice for the ones who tend to forget things and get condoms. In fact, loette is any time better than condoms. I thought the hormones in the pill will have a bad effect on me in the long-run. But then the live chat told me about how the pills work. Only then I was sure. I ordered the Loette pills and it has not given me any trouble at all! I could type my doubts when I had any. Got quick replies and medicines also delivered on time. Thank you! I think the medicines were really worth the price because they came in quality kitaging and were also effective for me! Wonderful site! Powerful medicines. Would come again to buy birth control medicines as well.